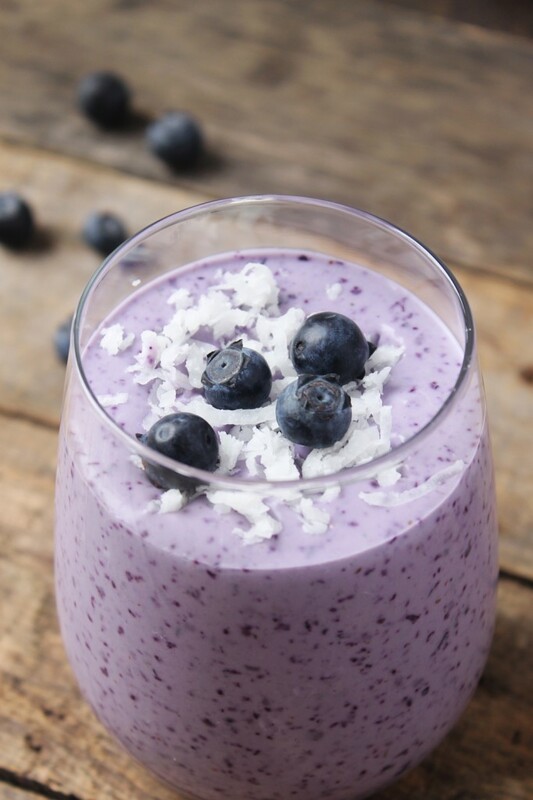 This blueberry coconut protein smoothie is so rich and creamy you’d think it was a milkshake! 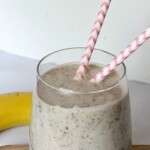 Made with only 5 simple ingredients, this refreshing and healthy smoothie is guilt-free and tastes amazing! DISCLOSURE: All opinions and borderline obsessions are my own. This post was not sponsored by ALOHA, however I am an ALOHA Ambassador. None of the below information should be considered a substitute for medical advice. 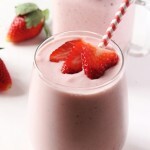 I don’t know about you but I like my smoothies thick and creamy, not watery and thin. I love the heck out of blueberries. They’re like antioxidant superheroes. And they taste amazing to top it all off. I only use 1/2 cup of frozen blueberries in this smoothie, but you could honestly use more or less depending on your preference. I only recently got into using protein powder and making “protein” foods because I’m trying to get fit. 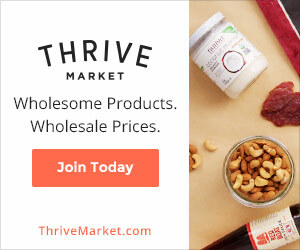 So I was super excited to see protein powder in my monthly ALOHA box. I’ve tried several different protein powders in the past month or two, and none of them have come close to how amazing the ALOHA protein powder is. At 18 grams of protein, it’s enough to get me through the day with tons of energy. When I know I’ve got an intense workout that day, I’ll save my smoothie for afterward. Not only does it give me something to look forward to (ahem, mouth-watering smoothie), but it helps me to recharge. 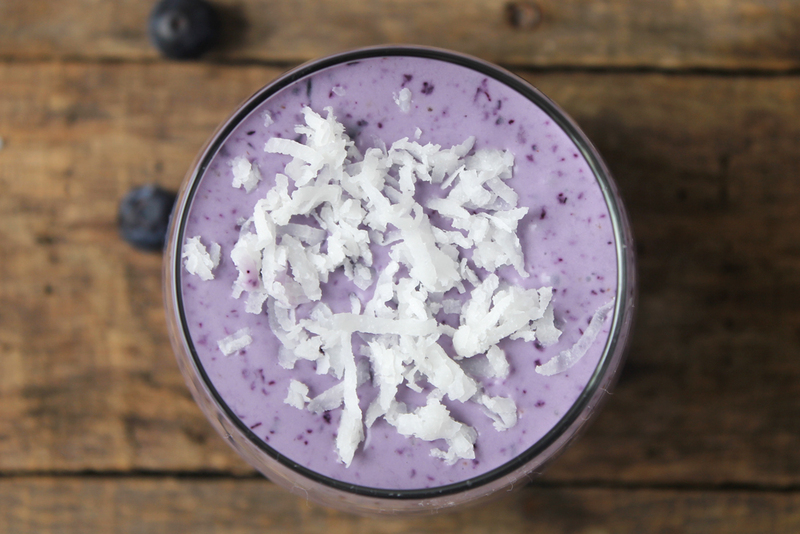 I could drink this blueberry coconut protein smoothie every day! There’s so much summery, creamy flavor packed into one glass, not to mention how many nutrients in just one sip! 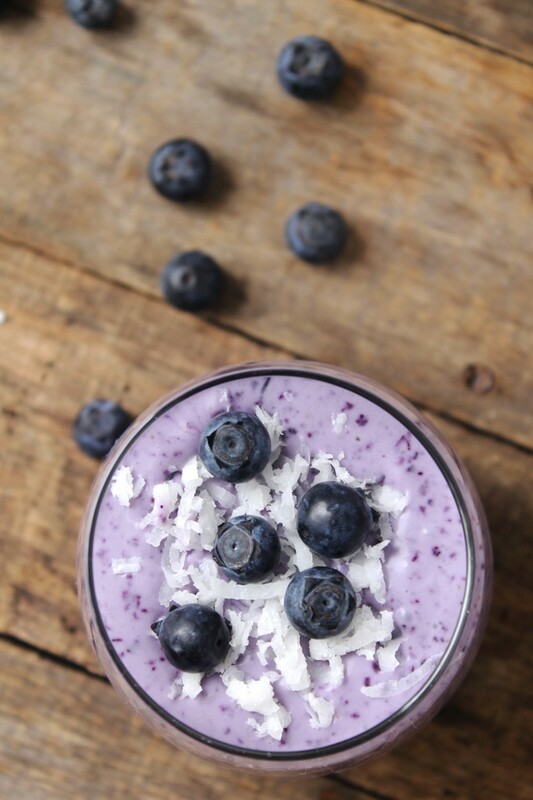 Even if you’re not someone who works out on the daily, you’ll love this blueberry coconut protein smoothie! It’s an easy to way to get the nutrients your body needs to refuel and start your day. 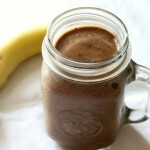 Combine all ingredients in a blender and blend for 3-4 minutes, or until smooth. Serve immediately. If you’re interested in buying the protein powder that I use and love, you can get 20% off your ENTIRE order by using the code “NATURALCHOW20” at checkout! 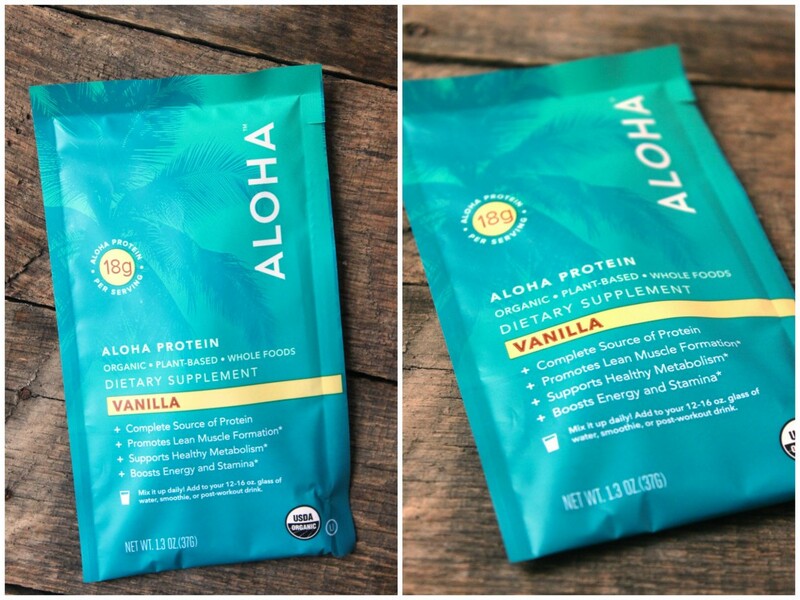 Check out ALOHA’s Vanilla Protein Powder! I went to the ALOHA website, but I could not find the nutritional facts label for this product. 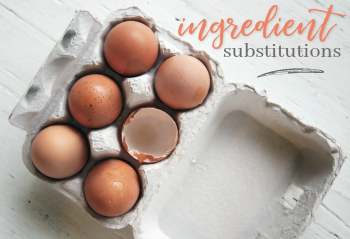 I see the list of ingredients but no breakdown of Daily Value for macronutrients or vitamin. Can you tell me how much saturated fat is in this packet? Hi Pey-Lih! I have the package right here! The label says that there’s 1.5 grams (8% DV) of Saturated Fat in 1 packet of the Vanilla Protein Powder. You shouldn’t be worried about saturated fats. They are safe and healthful. All the old tales about the dangers of sat fats were generated by the processed oil industry in order to sell their inferior, worthless, dangerous alternatives. Eat tons of real butter, lard, coconut oil, etc for a dynamic boost to your health. This is fact based and no longer in question. Good luck. And don’t blend your drinks for 3 or 4 minutes! you are generating heat that damages the delicate enzymes in the foods. I LOVE this. 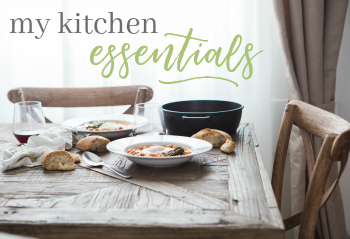 I am so glad I came across it on #FoodieFriDIY. I am a sucker for a good smoothie. 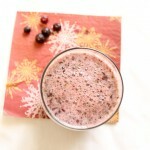 Blueberries in smoothies, yes please! I read recently that blueberries are a negative calorie food in that it takes more calories to digest them than there actually is in them, which made me love them more. 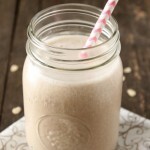 This smoothie looks delicious and I am intrigued on the ALOHA protein powder. Will have to check it out. Pinned! Love the way you photograph the steps! Stopping by from the Friendship Friday hop, come say hi! YUM’d! This looks delicious. A definite must try! A good smoothie is the best…and I’m with you, I love my blueberries! Pinning and sharing! Hi Margaret! This smoothie looks amazing! I’m always looking for new ways to use blueberries and this is a perfect recipe to try out. Thanks! I love my smoothies thick too! I usually have to eat it from a spoon cause it’s so thick. What brand of coconut milk is you absolute favorite? I’ve only tried 1 brand of coconut milk from a can, wasn’t impressed with the flavor and I love coconut milk. 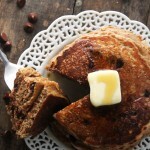 Great recipe plus I love how vibrant your pictures are. I’m going to make it for sure! Hi Melinda! I’ve always used the Whole Foods brand of coconut milk, but that’s only because I haven’t tried many other brands. Overall, I’m pretty satisfied with it. It’s not grainy, and it doesn’t have an “off” taste. Hope this helps! This looks so tasty! I’m looking for healthy and filling for the summer. 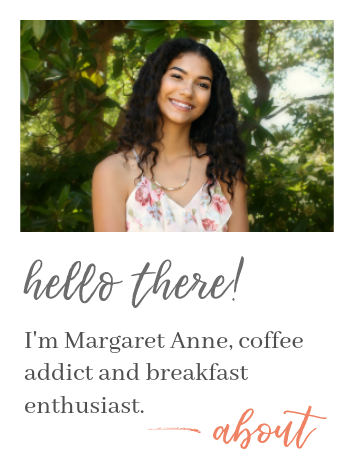 Hi Margaret! First of all, I like my smoothies thick enough to eat with a spoon, so you’re right on with this one. 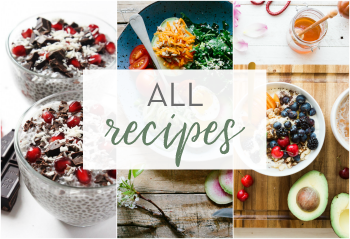 Of all the varieties I’ve tried, I’ve never added coconut milk. What a good idea. LOVE the way this sounds. Great photos too! Have a wonderful weekend! This recipe looks really tasty, Margaret Anne. I love LOVE blueberries and smoothies. The only problem I’ve got is that I’d have to tote the ingredients to a friend’s house to whir in their blender since I’m currently without one. What’s better than sharing a healthy delish smoothie though, right? Pinned. I have to get back into the smoothie habit. They’re so satisfying. I need something to get me through that 2 to 4pm time zone where I just start putting crap in my mouth. Excited to try this one! I was looking for a coconut-blueberry recipe because I ate the best milk-free desert at a hotel in the Czech Republic. I think this recipe will match it. Thanks! Looks like a good smoothie but a whole can of coconut milk? What size can are we talking here? Yes ma’am it’s a 13.5 ounce can of coconut milk, so not that much!